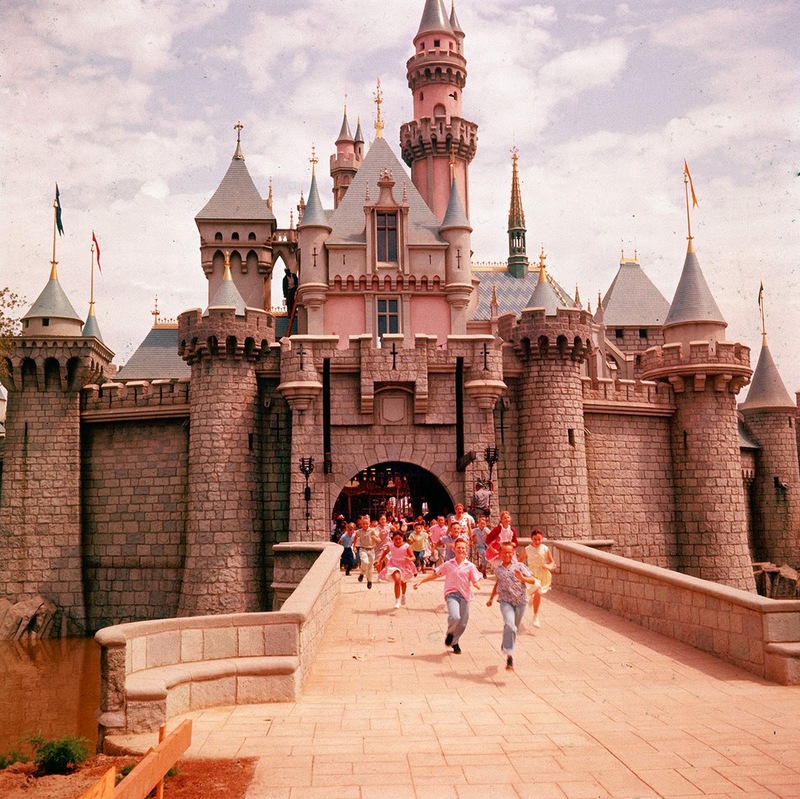 Guests running towards Sleeping Beauty Castle. 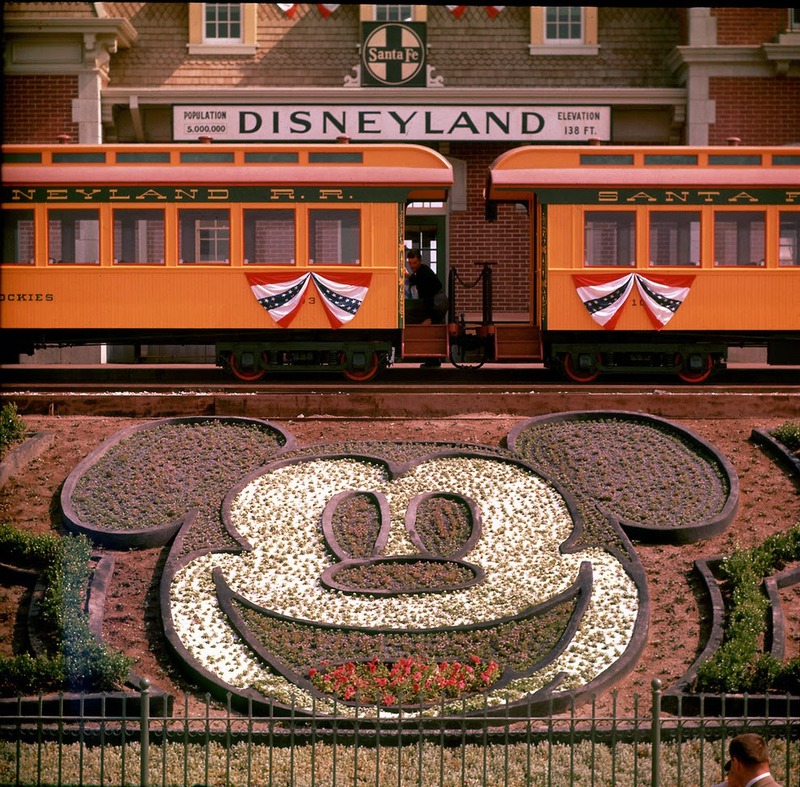 Mickey Mouse’s face greets guests, as a Disneyland railroad locomotive stations in front of the Main Street station. 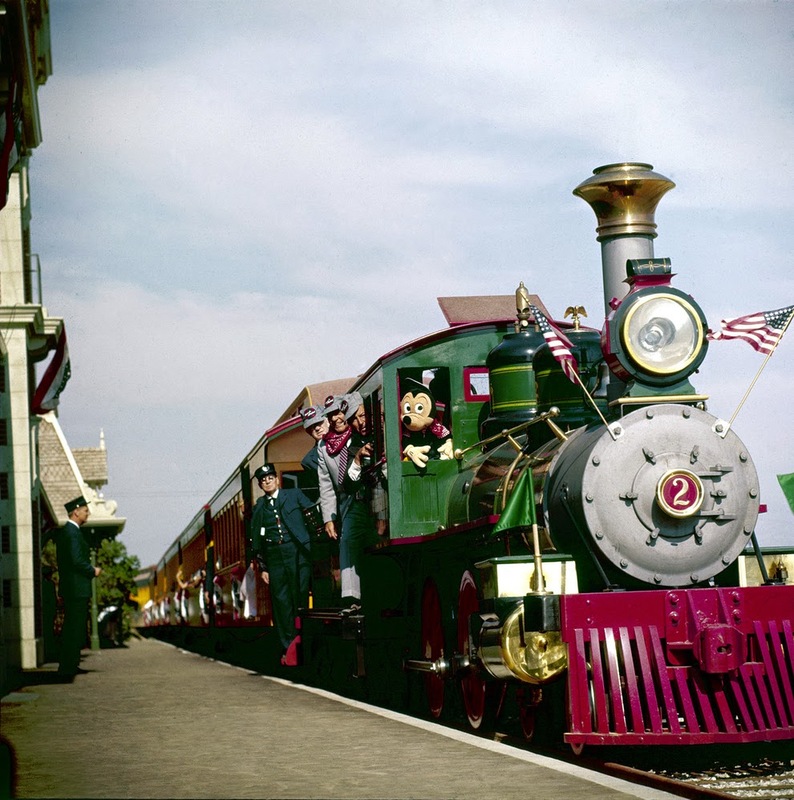 Walt Disney and Mickey Mouse conduct the train as it arrives at a Main Street station. 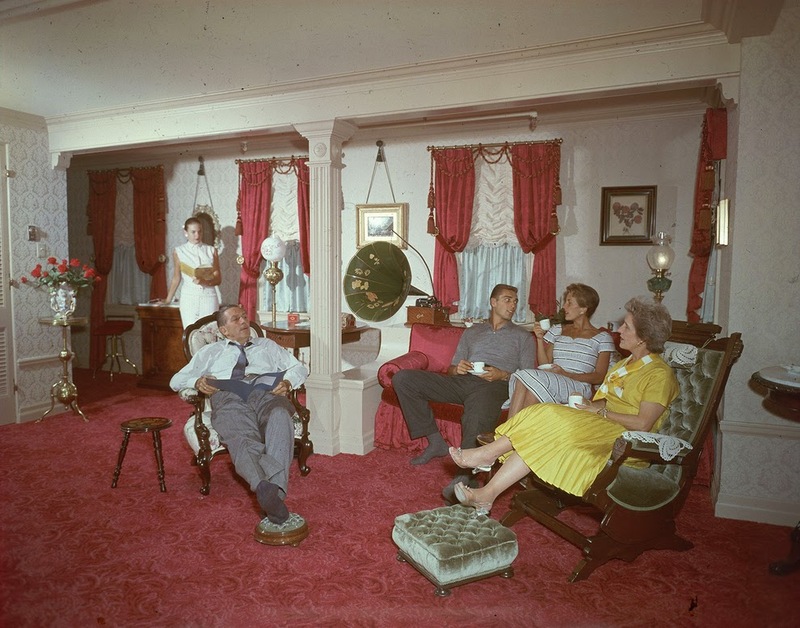 Walt, along with his daughters Diane and Sharon, wife Lilly, and son-in-law Ron Miller enjoy some quiet time at Walt's private apartment on Main Street, U.S.A.
Walt takes the reigns of a red, horse-drawn fire wagon for a ride around Main Street. 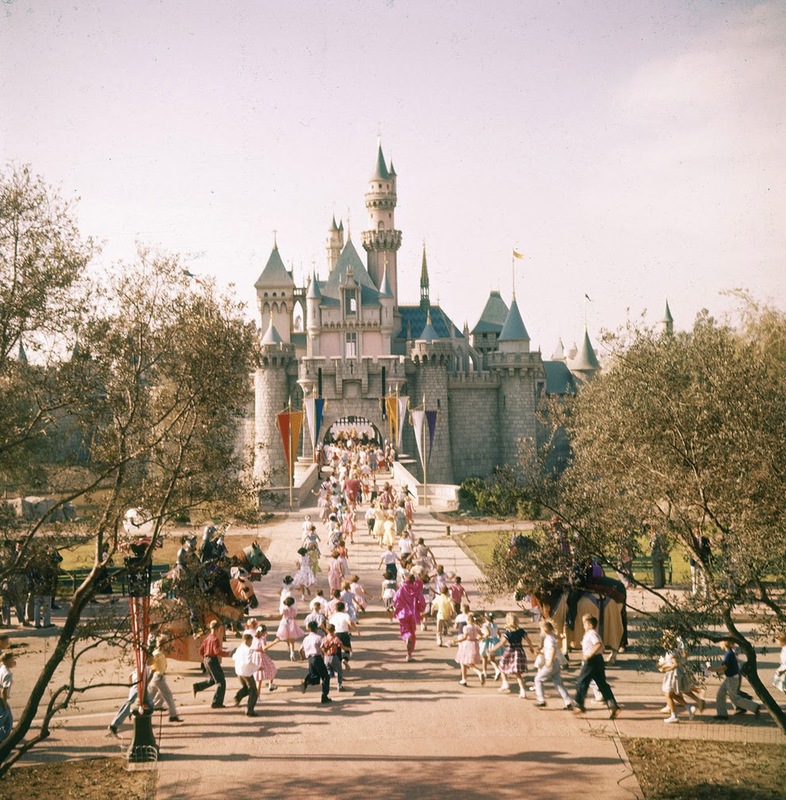 Children running freely through the gate of Sleeping Beauty Castle on opening day 1955. What would a trip to Disneyland be without a ride on the Mad Tea Party? 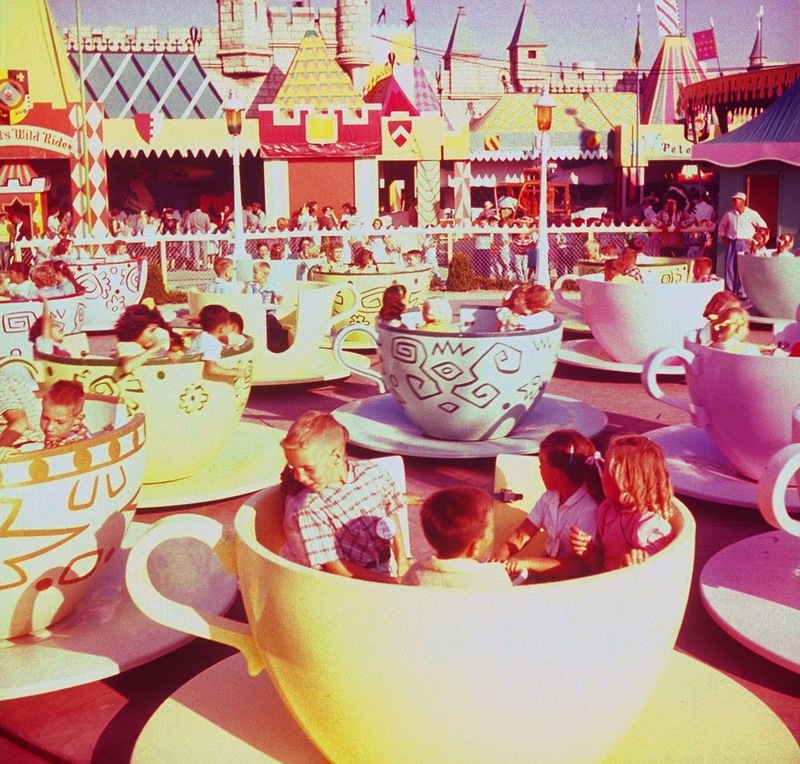 Prior to 1983, the tea cups where located in the present-day location of King Arthur Carrousel. 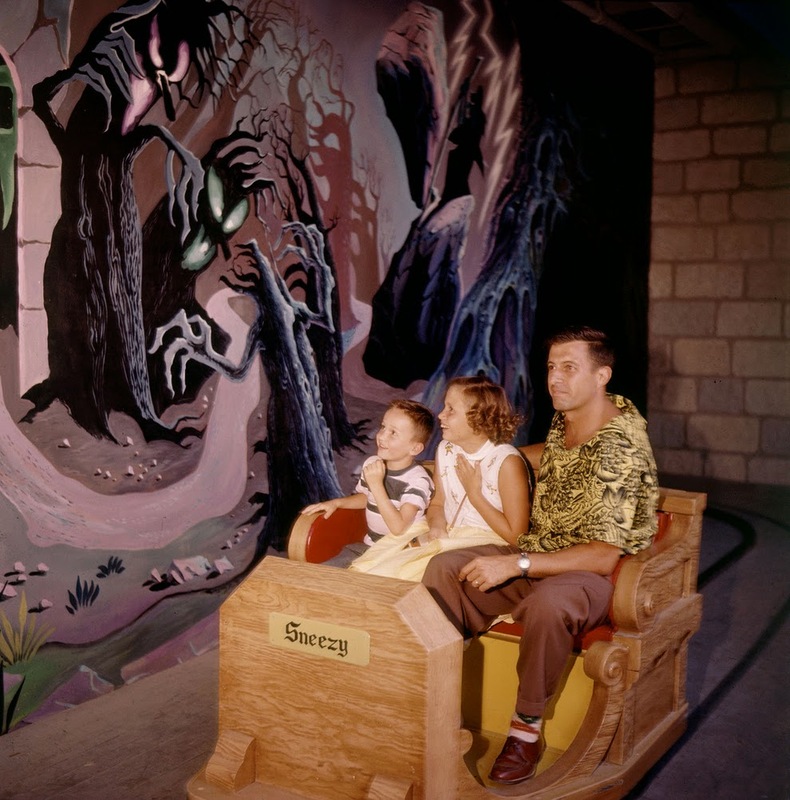 A family enjoying a terrifying ride through Snow White and her Adventures. 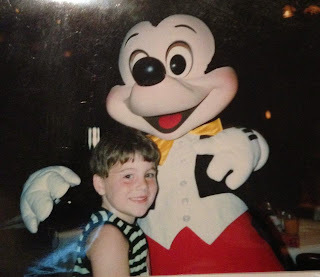 After the 1983 redesign of Fantasyland, the ride was renamed Snow White’s Scary Adventures, which is much more fitting. 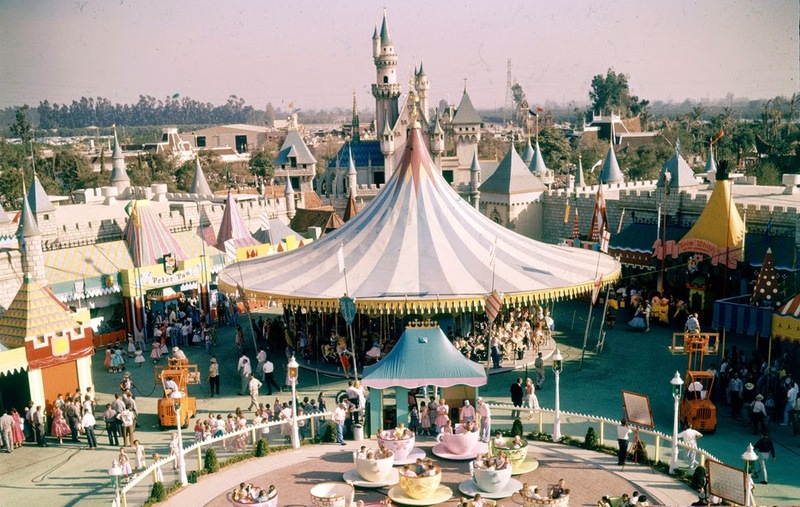 An aerial shot of Fantasyland as it appeared in 1955. 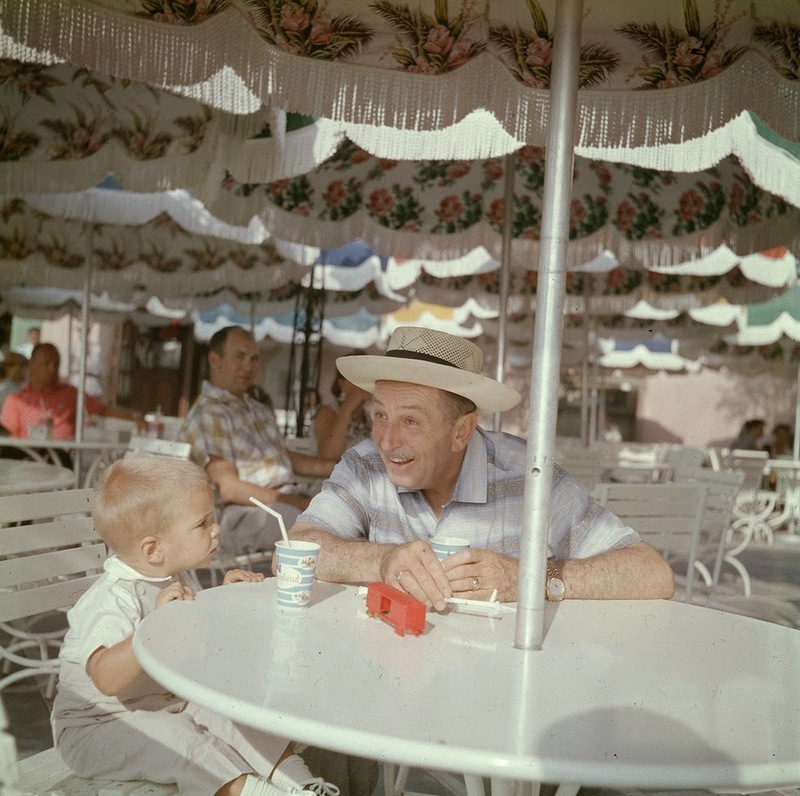 Walt and his grandson taking a break and enjoying some soft drinks in Frontierland. Check out the guy behind them...I'd be doing the same thing!! 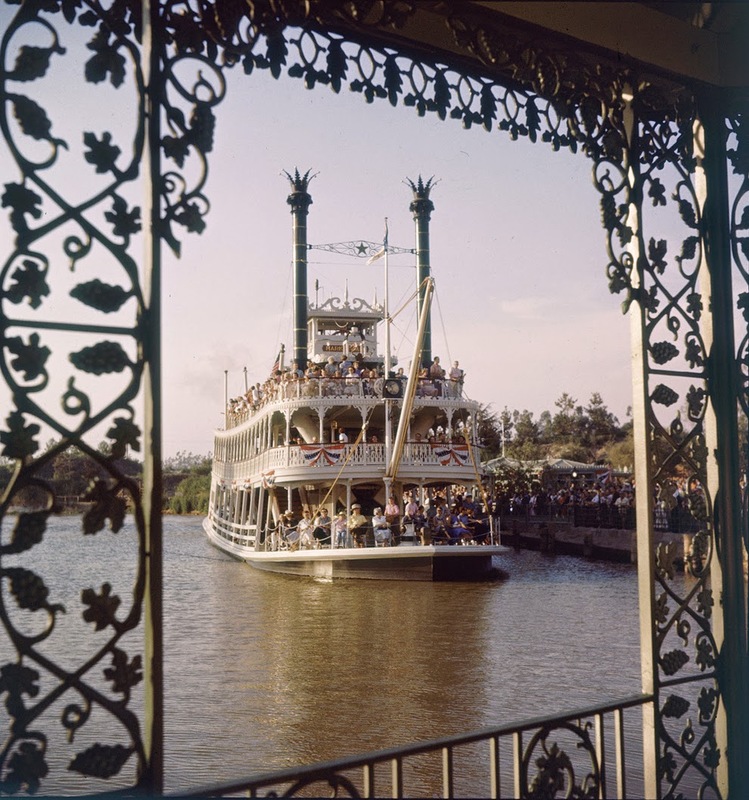 The Mark Twain riverboat begins its journey around the Rivers of America. 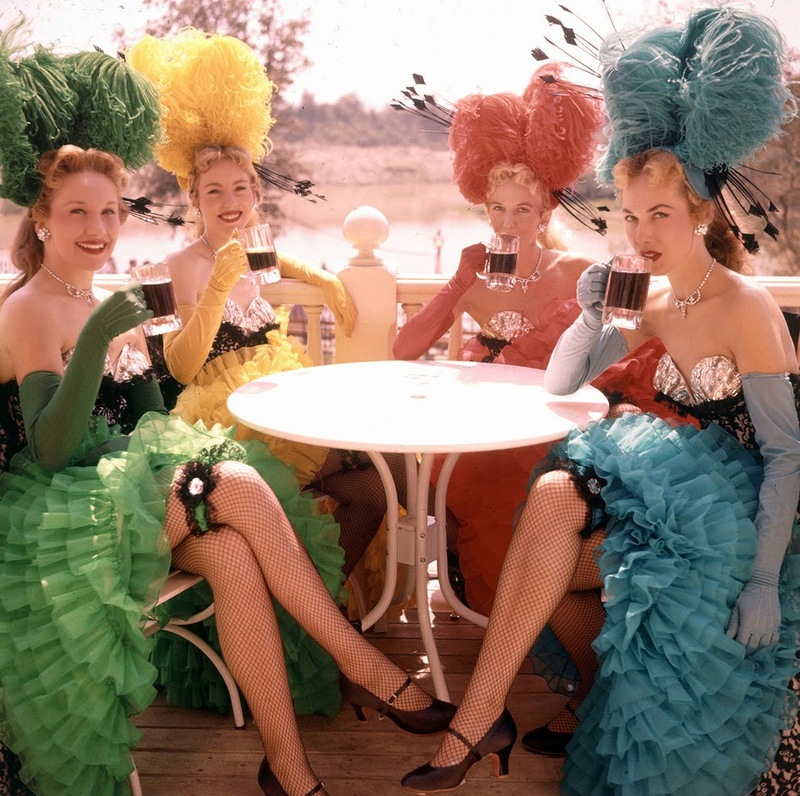 The Diamond Horseshoe showgirls enjoy a drink and fantastic view of the Rivers of America. 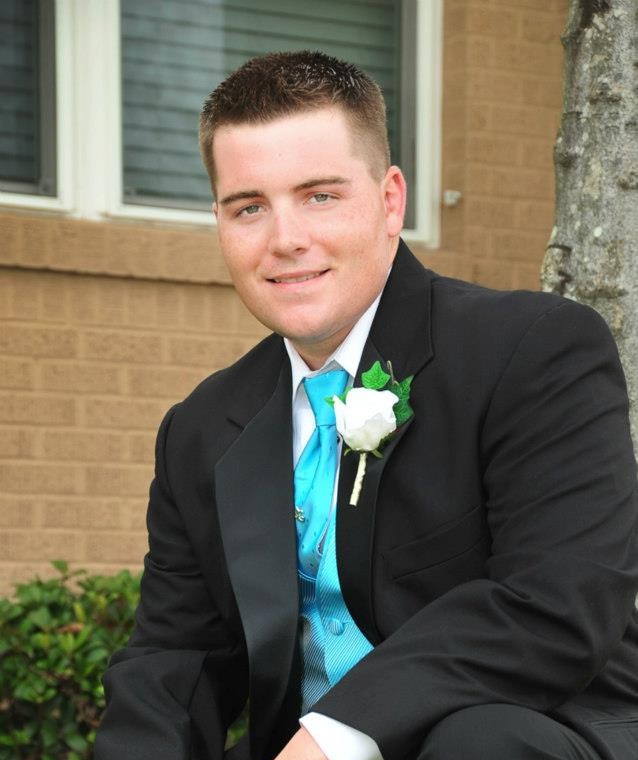 This one is the most shocking to me! We see (scary) Disney costume characters waiting for the parade to start. 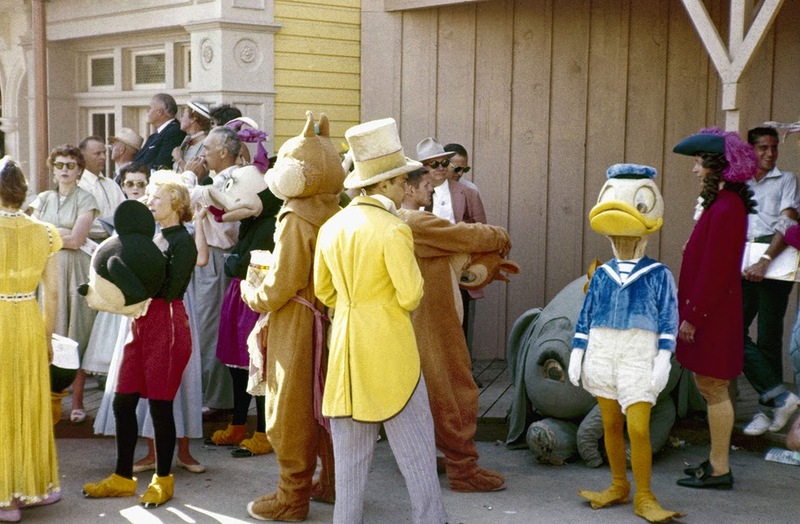 Could you imagine if Walt walked by and saw this?!? No wonder he wanted utilidors made for WDW!! 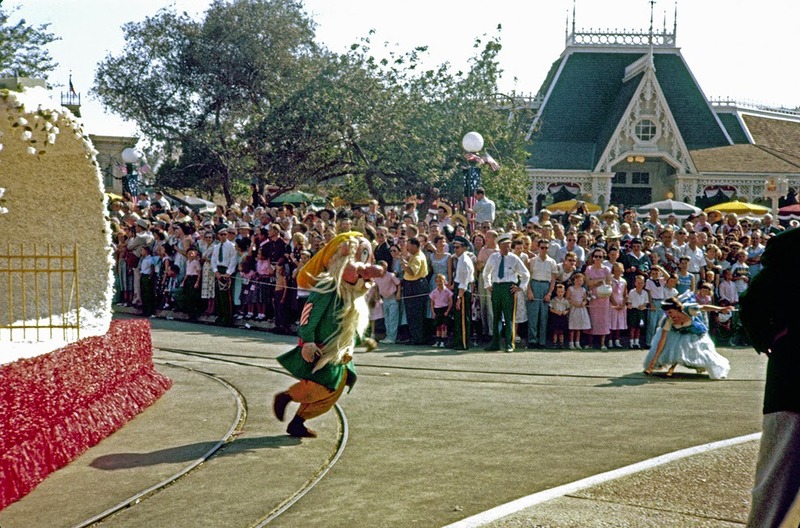 A Seven Dwarf entertains the crowd on Main Street during the parade. 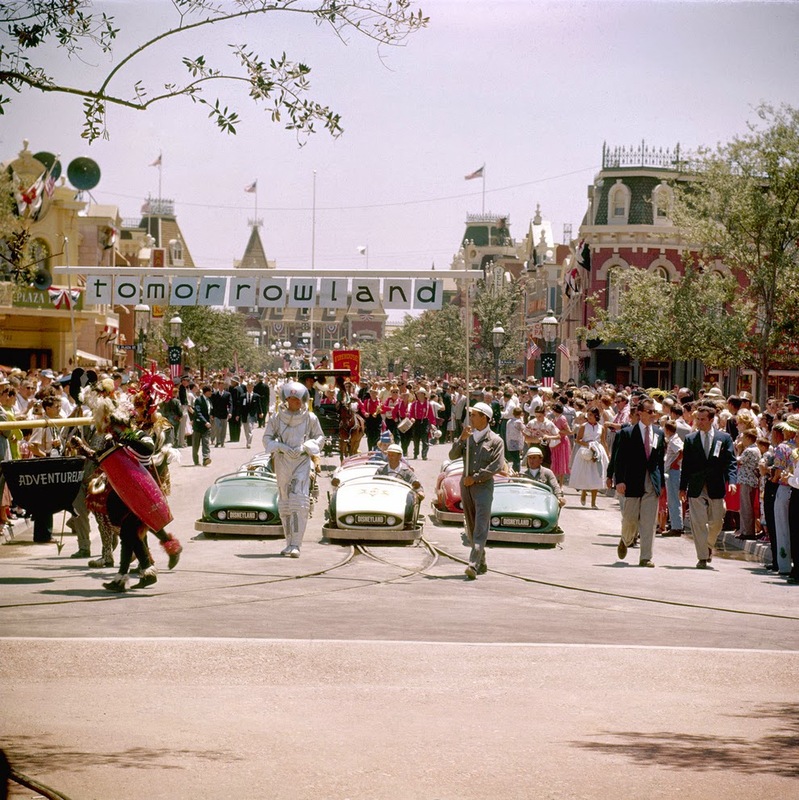 Tomorrowland gets its own section during the parade. 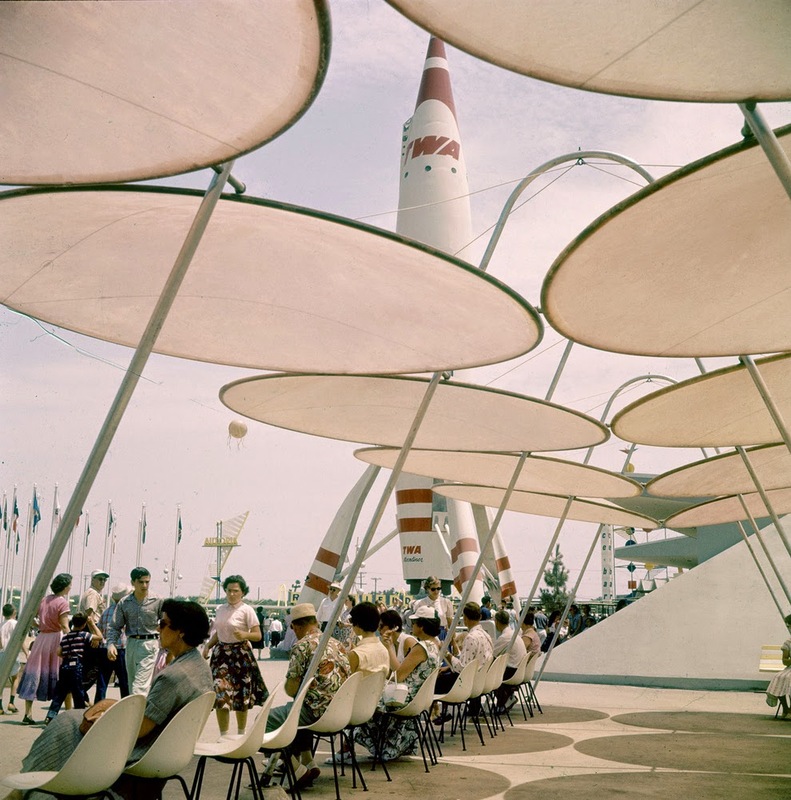 Guests enjoy a nice break in the shade near the TWA rocket in Tomorrowland. 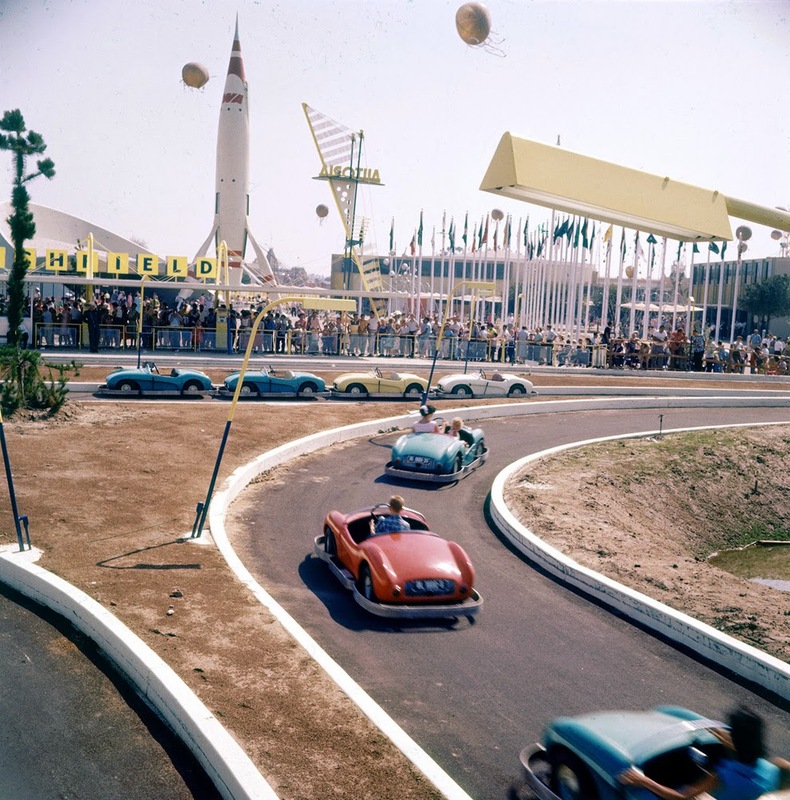 Kids putting pedal to the metal on the Autopia back when it was guide rail free. No tracks in the original version of this attraction, so kids were really driving these cars. 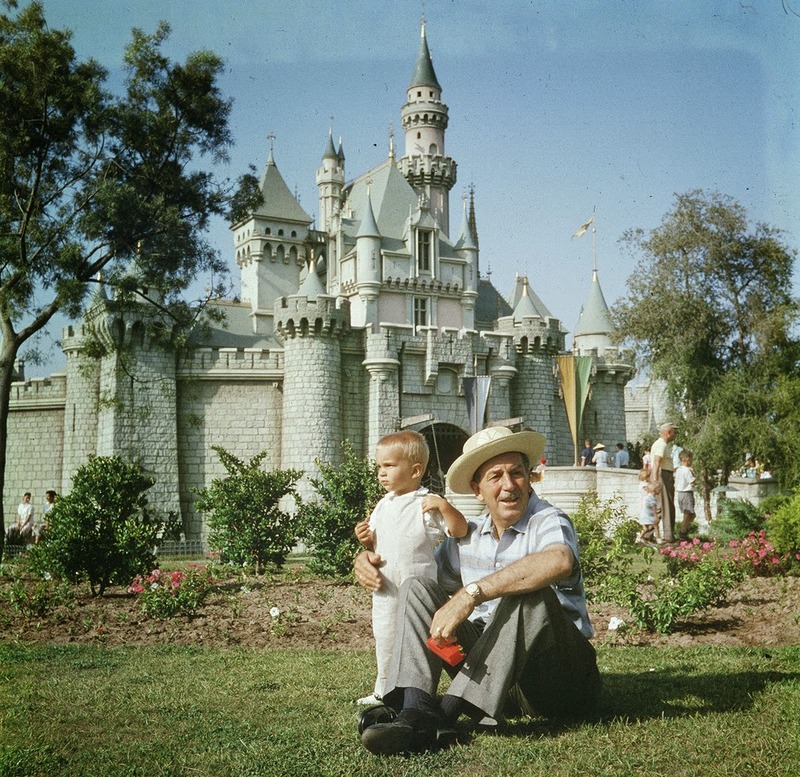 What better way to end than to see Walt and his grandson enjoy the view from in front of Sleeping Beauty Castle. 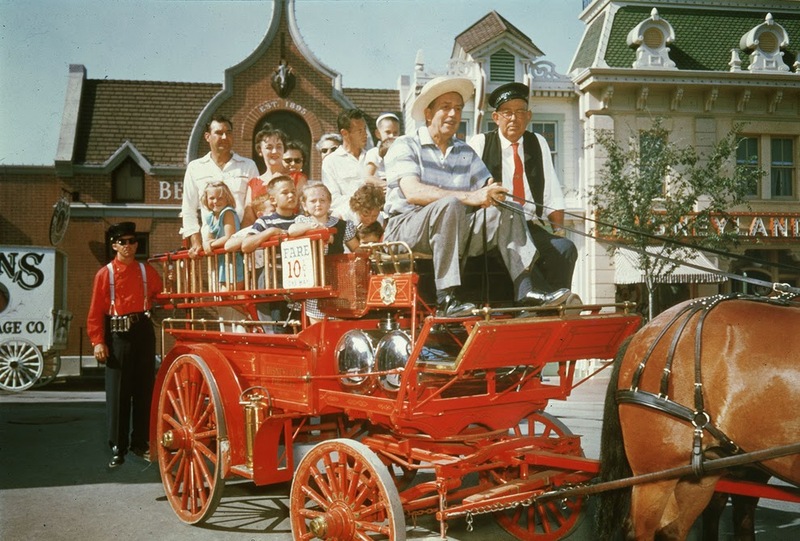 If you'd like to learn more about Disneyland in those early years, make sure to take a listen to my interview with Disneyland's very first President Jack Lindquist for the Disney Avenue Podcast! You can hear that show here.